Roto North America will be exhibiting at GlassBuild America 2018 at booth #837 on September 12-14, 2018 in Las Vegas, Nevada. Among the many products that will be showcased, a highlight will be the Roto Patio Inowa. The Roto Patio Inowa combines convenient operation, high impermeability, and attractive design for sliding doors and windows made of timber, PVC, and aluminum. 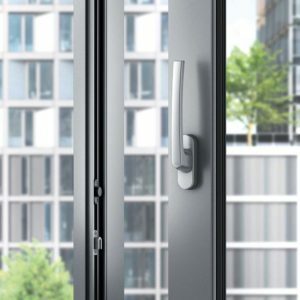 In addition, the smart hardware coupled with concealed technology allows the use of narrow, straight-line profiles for a modern, aesthetically pleasing design.